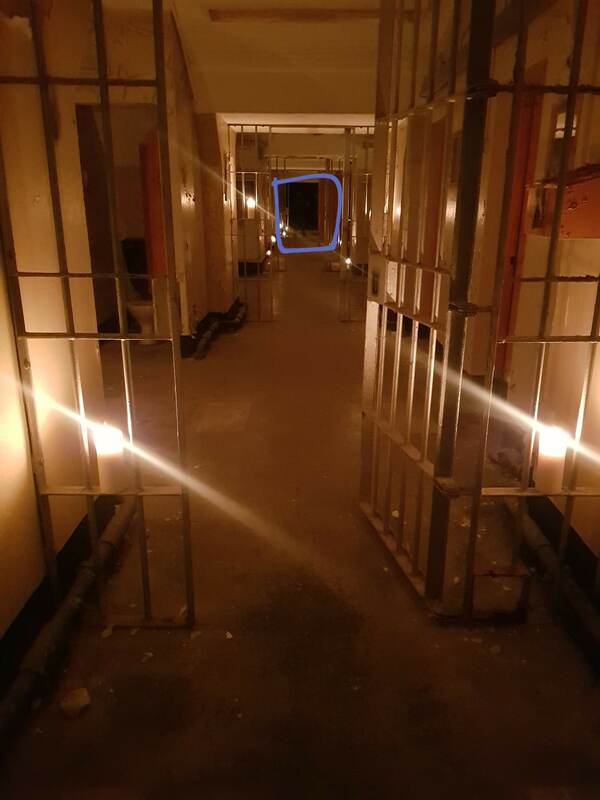 Louise Bunyan went on a night time tour of Spike Island Prison in Cork on Sunday night and accidentally captured what looks like a ghost in a photo... or at least some kind of strange shadow. 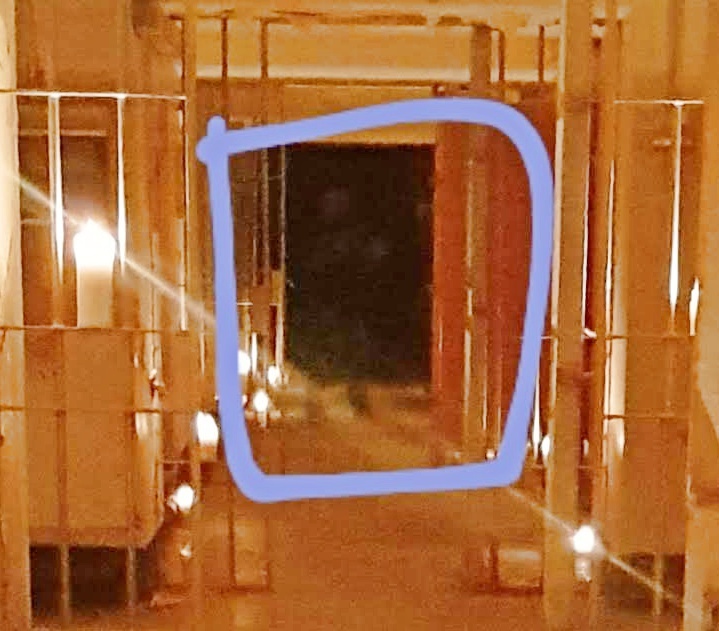 Speaking to JOE, Louise said: "I was on a night time tour of Spike Island Prison on Sunday night and accidentally captured what looks like a ghost in a photo. At the end of the tour they bring you to prison block A & B. 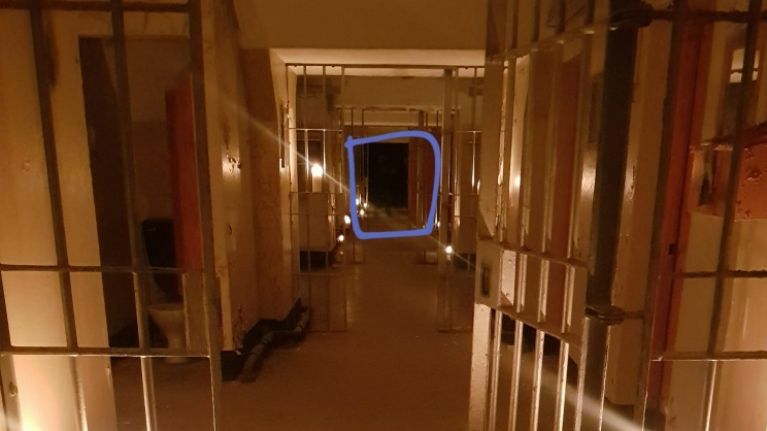 "I took a few photos, but when I turned on the camera the facial recognition yellow circle came on which was odd as the entire corridor was completely empty. I checked the photo afterwards and could see the outline of two legs. I zoomed in the photo and could see a bit more." Could be just a trick of the light so we adjusted the contrast and boosted the brightness to see what it would reveal.